Joan and 2 Santa Fe colleagues- both authors and activists in the fields of health, personal growth, and politics- reflect with the host, Rhea Goodman, on how to deal with the Trump era. The election of Donald Trump as president ushers in a period of monumental change…a precipitous journey into the unknown. Fear anger, grief and confusion are the order of the day for many of us. 1. Separation- the ground beneath our feet gives away and uncertainty prevails. Illness, death of a loved one, financial reversals, and the like are personal examples. Wars, terrorism, and political upheavals are national and global examples. In the wake of the presidential election, we are collectively poised to make a global shift to a higher level of function. I believe that we were indeed born for these times. Calling forth a new world that works for us all is the noble possibility we have been presented with. But as Bruce Springsteen sings: It’s a Long Walk Home. This sacred journey requires balancing heart and mind. Evolutionary biology tells us that systems evolve when cooperation replaces aggression. That’s true of all living systems. So it’s up to us to bring cooperative, compassionate energy into all our interactions. It’s also important to maintain good boundaries, speak our truth, and act mindfully and courageously. How to do that? There is a skill set that resilient people draw upon in liminal times. I wrote about that in one of my books, It’s not the End of the World: Developing Resilience in Times of Change. I wrote this book after the economic meltdown in 2008, fully realizing that we were in a spiral of rapid change and that anything might happen. It’s a short book- easy to read and practical. New findings in neuroscience also speak to building resilience. Our nervous systems evolved to keep us safe. Because of that we are hardwired for perceiving threat. Thus, the vast majority of daily thoughts are indeed negative. Neuropsychologist Rick Hanson who wrote The Buddha’s Brain, and more recently Hard-wired for Happiness, makes the point that we can all learn how to “install the good,” helping to calm down the amygdala and allow our rational mind (centered in the prefrontal cortex) to keep perspective and work toward our goals. How to install the good? First, we have to pay attention to it. There are countless moments of goodness throughout the day. A sunset, a smile, a pet who greets you at the door with kisses… Simply paying attention to these moments by sensing them fully for at least 10 seconds, actually changes the brain, which is constantly remodeling to adapt to the environment. This may sound simplistic, but neuroscience indicates that it works…if you do it. Yesterday, just a week after the election results were in, I had the privilege of being interviewed by Reverend Paulette Pipe on Unity radio. I was very moved by Paulette’s program: Prayer, meditation, discussion, music…and the questions she asked me about how we can best navigate these changing times. The idea, we both agreed, is not to make a spiritual bypass. It is to bring our spirituality to liminal time, to form a safe container out of which enlightened social action can best manifest. Below is a link to the show. I hope that it will inform, inspire, and encourage you as much as it did me. ps. I do think I was born for these times. Bringing calm to chaos and helping people tune into their wise self is something I’ve specialized in for years. Working clinically with people facing serious illness, training mental health professionals, and working with a variety of professional, corporate, and religious institutions is my calling. 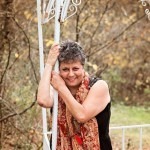 If you read and listen to this blog and find it useful, please pass it forward. In this interview, you’ll receive incredible knowledge on the science of the body, the soul of fulfillment and the art of healthy living. You’ll also learn how to feel juicy and creative within! 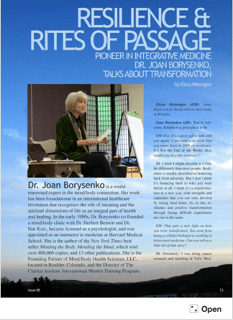 Joan was interviewed by Elissa Melaragno for ANCHOR magazine (Still Harbor). You can read online here. 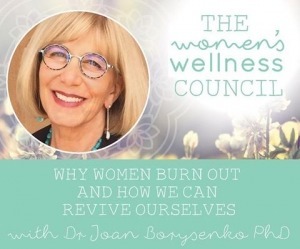 Edie Weinstein welcomes Dr. Joan Borysenko as they explore the nature of loving relationships and the intersection of science and spirituality to describe the ways in which we can connect with each other. One of Joan’s specialties is the area of interspirituality which is the common ground where all of the wisdom traditions meet.